We recommend checking out our discussion threads on the Leupold GR 20-60x80 Spotting Scope Kit 120533, which address similar problems with connecting and setting up Spotting Scopes Leupold. The user manual for the Leupold GR 20-60x80 Spotting Scope Kit 120533 provides necessary instructions for the proper use of the product Optics - Spotting Scopes - Spotting Scopes. The shadow gray, straight viewing GR 20-60x80 Spotting Scope Kit from Leupold features high-quality optics designed to provide clear and bright images. 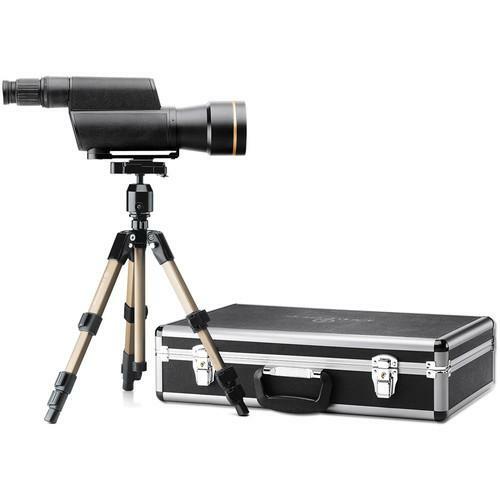 Measuring 15.5" long and constructed from magnesium alloy, this durable scope incorporates a wide zoom range within a relatively compact body that can be mounted to the included tripod with 1/4"-20 quick-release plate. Additionally, this kit provides a shoulder strap, soft case, and a briefcase-style hard-shell case. The size of the GR 20-60x80 Spotting Scope is made possible due to its prism-less Folded Light Path system. This utilizes mirrors to create a "Z" shaped path within the scope's housing which significantly compresses the space needed to obtain magnification. To provide increased light transmission, clarity, contrast, and abrasion resistance, the GR 20-60x80 Spotting Scope's exterior lens surfaces feature DiamondCoat 2 coating. Additionally, coatings designed to optimize the transmission of blue and violet wavelengths that become predominant under low light are provided. These coatings help comprise Leupold's Xtended Twilight Lens System and further enhance the GR 20-60x80 Spotting Scope's ability to render details at dawn or dusk. A nitrogen fill prevents fog accumulation and an O-ring sealed waterproof construction further add to the reliability of the GR 20-60x80 Spotting Scope. Box Dimensions (LxWxH) 20.3 x 13.3 x 5.3"
The user manual for the Leupold GR 20-60x80 Spotting Scope Kit 120533 can be downloaded in .pdf format if it did not come with your new spotting scopes, although the seller is required to supply one. It is also quite common that customers throw out the user manual with the box, or put the CD away somewhere and then can’t find it. That’s why we and other Leupold users keep a unique electronic library for Leupold spotting scopess, where you can use our link to download the user manual for the Leupold GR 20-60x80 Spotting Scope Kit 120533. The user manual lists all of the functions of the Leupold GR 20-60x80 Spotting Scope Kit 120533, all the basic and advanced features and tells you how to use the spotting scopes. The manual also provides troubleshooting for common problems. Even greater detail is provided by the service manual, which is not typically shipped with the product, but which can often be downloaded from Leupold service. If you want to help expand our database, you can upload a link to this website to download a user manual or service manual, ideally in .pdf format. These pages are created by you – users of the Leupold GR 20-60x80 Spotting Scope Kit 120533. 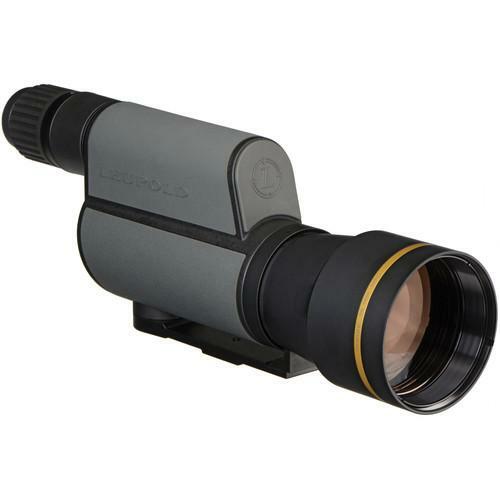 User manuals are also available on the Leupold website under Optics - Spotting Scopes - Spotting Scopes.